Vienna is the capital of the Republic of Austria and one of the nine states of Austria. 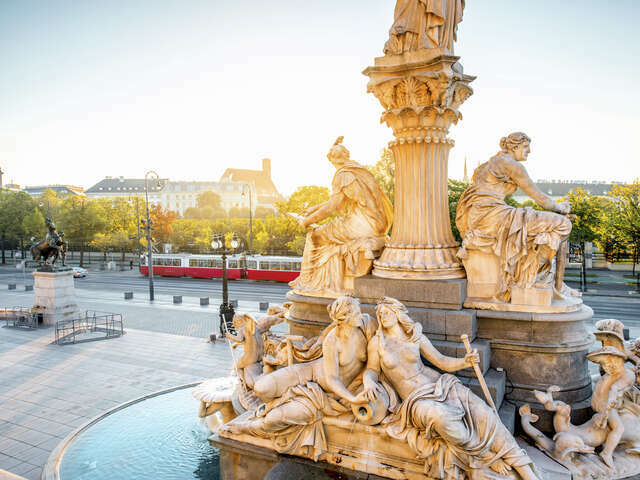 Vienna is Austria's primary city, with a population of about 1.7 million (2.4 million within the metropolitan area, more than 25% of Austria's population), and is by far the largest city in Austria, as well as its cultural, economic, and political centre. It is the 10th-largest city by population in the European Union. Vienna is host to many major international organizations, such as the United Nations and OPEC. The city is also known for its Imperial palaces, including Schönbrunn, the Habsburgs’ summer residence. Experience a Life of Luxury at Hotel Sacher John F. Kennedy, Indira Gandhi and Queen Elizabeth are some of the names off my head that have stayed at the great Hotel Sacher in the Austrian capital, Vienna. You will be gracing a hotel at the apex of the world's hospitality industry. You and I know that guests such as the ones listed above don't stay at just any hotel...it's got to be the best of the best, and this is what you are guaranteed at the Hotel Sacher. Stop by Schanigärten - Vienna's Sidewalk Cafés Vienna is famous for its luxury coffees and that carries over into the charming sidewalk cafés you can find along the streets of this popular city. Vienna, Austria: A Traveller's Dream! Vienna, Austria is one of those cities in which dreams are made of. The capital of Austria is one of the true jewels of Eastern Europe and boasts a history and culture that are truly unique.